Trawler "Hermes" (NO) north Tromsø strait this evening. Is it just me, or are there actually a very high number of fishing vessels up north right now? 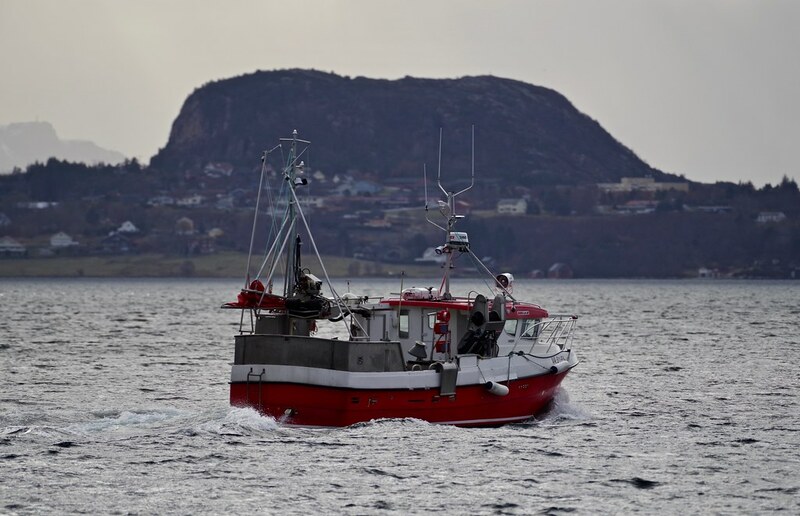 There are many different fishing vessels from many countries through Tromsø throughout the year to deliver fish, change crew, repaired equipment, bunkers fuel and of course supplies of different kinds to the crew. "Havstrand" came by Tromsø this afternoon before she continued the journey further south. Nice vessel. She look quite large with that "extra" deck beneath the bridge. I bet the (crew) accommodations are really great. "Hovden Viking" out from Tromsø this afternoon. The new "Hovden Viking" was handed over in december 2018 from Larsnes Mek. Verksted AS (Norway) to Hovden Senior AS, Kjødepollen. Design is of type NVC 312 from Rolls-Royce AS. Oi... a brand new vessel is a great catch. You certainly get a whole lot more fishing vessels up there, compared to Trondheim. The only time I get to see vessels like these in my port, is during the annual (?) NorFishing exhibition.